These are stories about my family and its relationship to the Canadian Pacific Railway section houses around mid-north Ontario/Quebec . Most are funny , some are sad , but all are informative . Enjoy ! 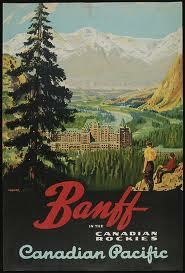 Labour in Canada was going through a relatively calm period during the 1950's and 60's . The exception in this time was in the national railroads of Canada. The change from steam to diesel led to massive job loss and the employees , especially engineers , firemen , trainmen and passenger train service staff bore the brunt of the change . But all unions were losing great numbers , including Dad's . Once all the unions in the CPR came together the country slowed to a virtual standstill . The diesel locomotive , the mechanization of track maintenance , two-way radios , centralized traffic control and reduction of passenger service more than decimated/or threatened to decimate the employees of the CPR. It was more than the system could take and the employees flexed against the change in a series of one day strikes that rolled along the tracks across the country . The 'Wild Cat' Strikes of 1964 .It took a long time for the strikes to move from location to location .Trains were parked on sidings and the employees simply walked away for a day . Even when they returned the next day , the stoppages further along the line prevented the trains from moving . Nothing moved until the stretch between major cities was clear of strikes . Then traffic could travel only as far as the next stoppage . The cost to the CPR brought them to the table to face a new concept never before discussed at any negotiation table in Canada before 1964. Employment Security and Job loss . These strikes set a precedent for the labour movement forever after . Passenger Ridership was decreasing on short runs such as on the Mattawa-Temiscaming line and the Mattawa-North Bay stretch . More and more people were purchasing cars and transportation took to highways . However there were still enough passengers to warrant a service . 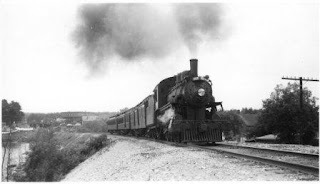 For the 1950's , CPR offered shorter trains hauled by steam locomotives . The cost was more than what passage fares brought in . Often one or two freight cars were attached to passenger trains on short trips , but even freight was diminishing as people turned to personal vehicles for small cartage . In an effort to continue passenger service , the diesel engine offered the opportunity to create the 'Budd Car' - a dayliner with an engine as part of a coach car . These stainless steel cars took over from the traditional passenger train on all short runs for as long as ridership held out . It was flexible enough to be extended to 2 or 3 cars more as need dictated , with a baggage car for freight or an extra coach on busy routes. The Budd Car left Mattawa Station at 7:00am and returned at 5:00pm on the North Bay run. Once or twice a week, it did a trip to Temicaming as well. Thirty or forty people boarded the dayliner each day and returned after a day of work , shopping , doctor/dentist appointments or visiting . By the mid 60's , ridership had diminished so much on the Mattawa runs that the service was discontinued . The Budd Car still runs in some large urban centres or as a summer tourist service . I never got the opportunity to ride the Budd Car. 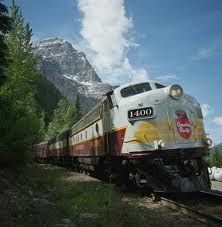 From 1949's successful pilot program with diesel on Vancouver Island , it was only a matter of time before the Canadian Pacific Railway across Canada completed the switch over . It took eleven years for diesel to chase out the last steam locomotive . When Dad had taken us on the Passenger train hauled by a steam locomotive in 1958 , only he and Mum knew that it would probably be the last time to experience it , as well as our first . Within the next year and a half there would be no more . During that time , we saw new diesel engines out of Montreal , being hauled to points west behind steam engines . It was exciting and sad at the same time . As long as we saw them going somewhere else , we would breathe a sigh of relief . Not yet ! 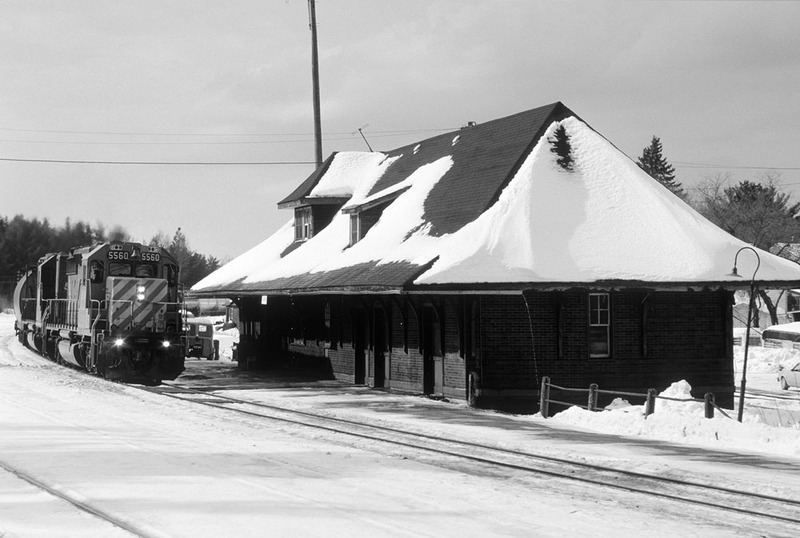 These photos show the rise and decline of Mattawa Station over a century+. OVR ( Ottawa Valley Railway ) tried a few tourist runs from Mattawa Station along the scenic route north to Temiscaming . How times have changed this station ! 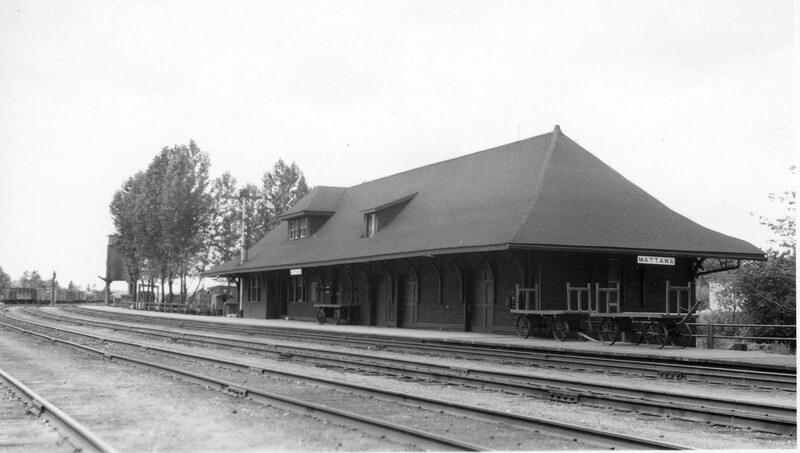 ﻿﻿ The service car was parked on a siding in Biscotasing , where the rail gang with which Dad was working for the summer was situated . For one week , our family lived in the service car . Dad went to work each day and returned to us at the end of his work day . Mum immediately tied a rope from tree to tree beside the track for the laundry . While we children played and dirtied clothes , Mum would wash them out in the handbasin with water she hauled from the lake in a bucket . We only had one change of clothes so that meant five days of hand laundry . ﻿ Take a little time to discover Biscotasing just over half way to Chapleau from Sudbury on the CPR . 'Bisco' was a railway camp (1884) on Biscotasi Lake , next after Sudbury during the building of what would become the Canadian Pacific Railway - a line to carry Northwest Mounted Police to the rebellion in Manitoba . A small town grew around the railway . It was the site of treaty negotiations for Treaty Nine Nations of Aboriginal People in the area 1906 long after land had been confiscated for the railway and lumbering. This photo of the Chief shows that his people remained close during the meetings. Section jobs were being reduced as a result of diesel power coming . New track beds were now going to use slag , a byproduct of Sudbury's smelting industry. Old track was torn out and new beds put in using new machines not seen before . 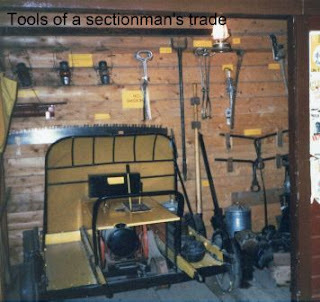 Section men had specific materials to become familiar with in order to do their old jobs . Some of those old jobs were disappearing ,too : switches became electric rather than powered by a man pulling it into position ; the coal oil lamps were replaced with electric bulbs . The section man wasn't needed to fill them twice daily , just change a bulb occasionally. He would still be needed for greasing switches but half the switch work was eliminated in the change over . That meant that many more section men would be laid off . Dad did not want to be one of them . In grade two , at the age of eight , I received , courtesy of Mum , the first of three 'permanents' that I have had in my whole 60 years of life . It was a home perm that had enough ammonia in it to peel paint . What it did to my hair turned me off hairdressers and hairdressing for years. There were eight sets of rails between our house and the street that led to school. Sometimes , this was a dangerous journey for us as children . More than a few times , we came close to getting 'creamed' . This is a Long Weekend in Canada . The third weekend in May is when the birthdays of both Queen Elizabeth and Queen Victoria are celebrated : Elizabeth because she is the reigning monarch and Victoria who was queen when Canada became a country . It is also Bread and Cheese Day weekend for Mohawk peoples . This was originally a gift from Queen Victoria for the role the Mohawks played in protecting the colony of Canada during the War of 1812(during her father's reign). 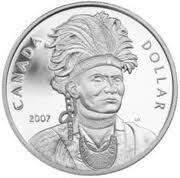 Each year during Victoria's reign , a loaf of bread and a hunk of cheese was given to every Mohawk and a day of celebration was held to acknowledge the special relationship between the Six Nations and the Crown since Chief Joseph Brant's time in the 1700's . Since her death , the Band Council of the Mohawks gives bread and cheese to each band member to remind that the original alliance with the Crown still stands . My husband won't be making the long trip home for Bread and Cheese this year. Instead , we will spend the time camping and fishing in Mattawa. I'll be taking a couple of days off . Perhaps I can squeeze in one more post before I leave ...we'll see. 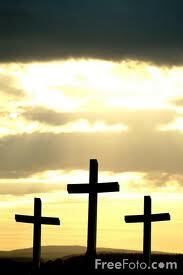 My Aunt was one of my Godmothers who saw me christened as a baby . She was (and is) a devout Roman Catholic who took this job seriously . Compared to my other Godmother who sent an occasional birthday card with ' God Bless' inscribed under her name (and who I've yet to meet) , Auntie more than made up for two . Friday afternoons at Mattawa's Public School included a variety of events that we all looked forward to as kids . Right after lunch , depending on the grade , activites started with the half hour of religious instruction by local ministers and priests ( Anglican and United Church ) . The Separate School took care of their own Roman Catholic instruction in English and French . We always felt lucky that we had only to do this weekly at school , on top of Church on Sunday/Sunday school , rather than daily . ﻿﻿ After the required session with our souls , the fun began . Younger grades had the Smokey the Bear Club . It always started with a rousing rendition of the theme song . " Smokey the Bear , Smokey the Bear , Growlin' and aprowlin' and asniffin' the air..."
Mum and Dad bit the bullet in 1958 , traded in the old windup record player / radio for a $10.00 credit on a brand new ( never used ) Black and White television/radio/record player combo made by Electrohome . 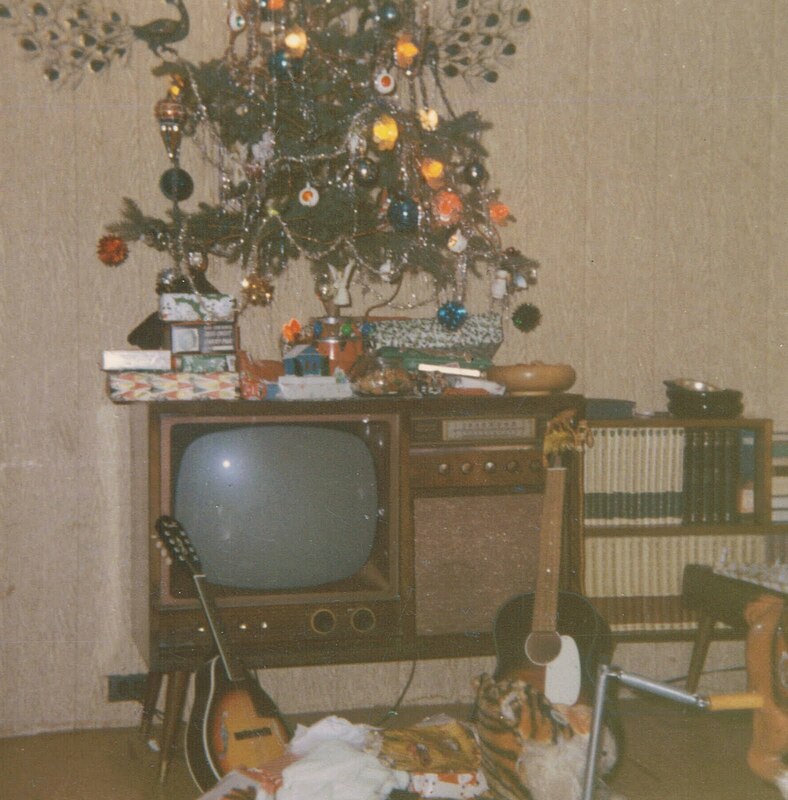 It was the very first brand new thing my parents had purchased on a tab they started at a local furniture store . This was the time when coloured televisions were making an appearence in larger cities . This TV was with us until 1969 , when it was scrapped for our first coloured television . 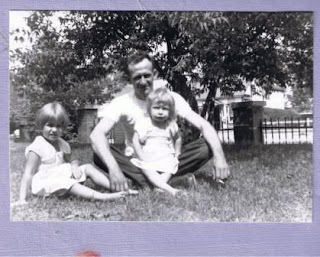 When my brother was 4 years old , 1958 , he had spent an afternoon playing outside in the grass ( I use this term loosely.It doesn't mean lawn. ) . At the end of the afternoon , he came into the house to watch our new TV with the family . But , he was having a particularly hard time sitting still ,which was not unusual behaviour to us . He would sit , jump up suddenly , look at the couch then sit once more . Finally Mum asked what the problem was . "Something is tickling me . It's moving . " 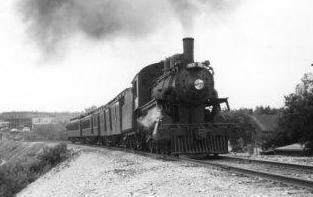 In 1891 , the crash between two trains was found to be caused in part by an engineer's watch . It had stopped and started at somepoint and lost 4 minutes . The result was a total loss of life . In 1893 , the General Railroad Standards were set for pocket watches . 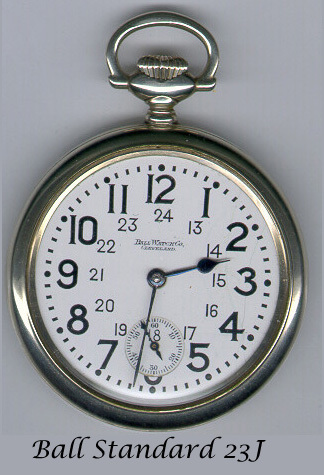 Any watch used from that point on had precise specifications that it must meet and every railroad employee had to carry a watch . 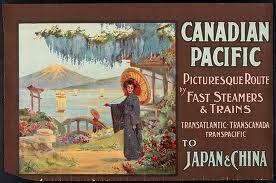 Time was synchronized at every train stop with the telegraph clock . At the CPR section house in Mattawa , Dad was able to come home at lunch time whenever work kept him within a mile or two of the house . The motorcar would pull into the siding and park shortly after noon . The fellows who did not live near , used the bunk house close by as a lunch room . It held a table and chairs , a heater stove and a couple of bunks (for a short lay down). Dad and Otto went into their homes for lunch . 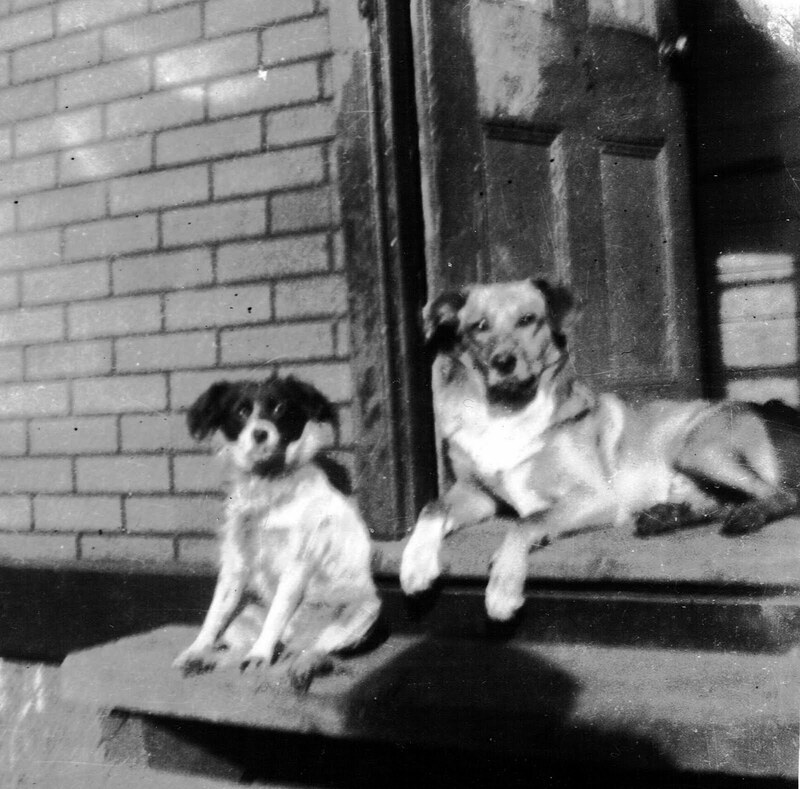 Our first dog came to us via my aunt as a puppy . "It's going to be a small dog," she said . "Look at the size of his feet . He will never be a small dog ," responded Mum , as Dad brought him home. Wimpy ( named after the character in Popeye comics ) was true to his name and grew into a very large dog with an 'endless gut' . Finances had to be stretched to include dogfood , with a lot of free bones and scraps from the butcher . 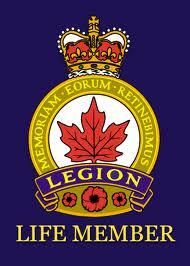 When we lived on New Street , Dad and Mum , who were both veterans of WWII , were able to become actively involved in the Legion . Through our whole childhood , the Legion was ever present (next to the CPR). Many people frowned on the place thinking it to be just an excuse for veterans to get together , talk war and drink . Yes - it was that sometimes and some vets drank more than others . But , there was no real support for soldiers returning from war . They suffered all the symtoms of what now is called Post Traumatic Stress Disorder . Many ended up in the veteran's hospital far from home or in the OH (Ontario Hospital) near North Bay- husks of the viable seeds they once were . Getting together was their group therapy and 'beer tears' simply a coping method . There were two configurations for placing the stovepipes that came from the front room coal oil heater . They were put up each fall and taken down for cleaning and storage each spring . Once the pipes were assembled to cross the front room and hung from the ceiling with wires , the elbow would be placed to bring the pipe into the flu either by ascending straight through the pipe hole in ceiling into the bedroom where it could turn into the brick flu above . Or it could enter the flu in the front room directly. In school (1950's and 60's), there was a requirement that every pupil memorize 250 lines of poetry each year . This started in Gr.4 and continued into Gr.8 . Once a month , students who had memorized a poem would stand in front of the class , repeat what they had committed to memory , and be told how many lines remained in their assignment . Most chose poems of 20 to 30 lines , and could get it done in the school year . Then there was Barry Ross who was in my class . His technique was unique among fourth graders . A few metres behind the house was the edge of the forest - or as Northern Ontario folks call it - the bush . Forest is too refined a term for Northerners . It evokes visions of fairytale forests that open up under the broad canopy for ease of strolling and casual enjoyment . Of course , this is purely a stereotype from imagination and I have to say other forests that I have wandered are not as idyllic as fairytales . 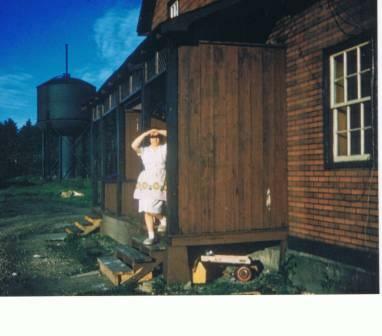 The telephone system still in use in Mattawa in the 1950's was operator handled . At the CPR section house , you would pick up the ear receiver , turn the side crank which would ring the operator and speak into the voice receiver on the front of the wall case. When the operator plugged into your line , she would ask for the number you wanted , then plug your line into the phone line of whoever you were calling . The insideout room gave us a great deal of amusement over the years . One particular event is engraved in our memories . ﻿﻿﻿﻿ One spring , the native red squirrel found the space above the insideout room. 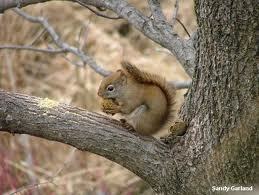 As you probably already know , squirrels spend a great deal of time gathering food for storage . If you give them the space and non-threatening opportunity , they will set up housekeeping in your home . Such was the case in the CPR section house in Mattawa. Unlike Larchwood , the CPR section house in Mattawa was a duplex . The senior section man , his wife and three fully grown boys (young men) lived in the east half , while our family lived in the west portion . The general layout was the same as all section houses , except that this house had an addition put on sometime before WWII. 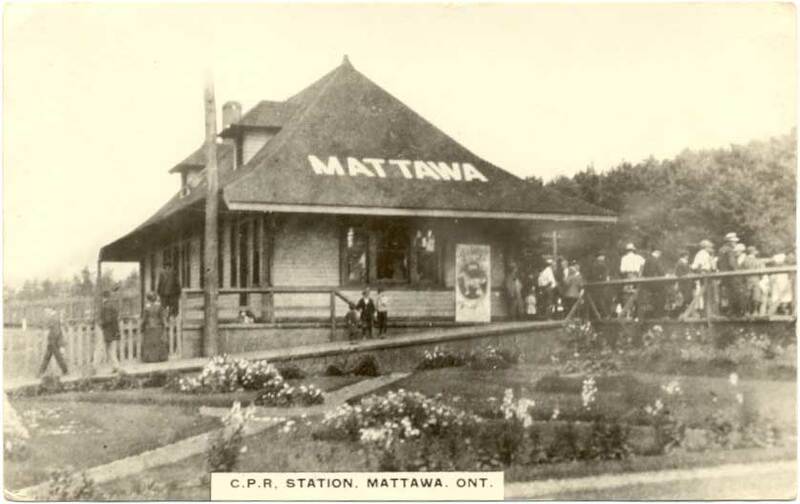 The tension of change was devastating railway employees by the time we moved into the Mattawa Section house . Worry and stress added extra weight to the daily job . Dad returned home after work totally exhausted , easily angered and beginning to drink on a regular basis. In 1956 , The Firemen Dispute led to layoffs and eventually to a two day strike in 1958 . In 1961 , the dispute still continued as their union fought against job loss . But it was all in vain . In 1986 , after Dad had retired from the CPR , my family made a long trip west to visit me in Regina , Saskatchewan . One of the places we brought the family was to the Moose Jaw Transportation Museum . It served as a reminder for Dad of how he had started . 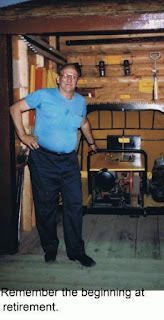 The tools of the job were the same for railway building and maintenance all over the world . Most of those tools are still used these days for the job . The car house that housed the motor car that replaced the handcar (velocipede) in the late 50's/early 60's also held the tools needed for the job . Pick, shovel, claw bar,tamping bar, lining bar, sledge hammer, tie tongs, ballast fork, straight wrench, switch broom, spikes, bolts. tie plates, water jug and coal oil were necessary tools of section work . When one family transferred out of the CPR section house in Mattawa , we were able to move from New Street . This was in late 56 or 57 . These photos show what the front yard of that home was like . It wasn't a quiet siding but a busy station and maintenance yard for for steam locomotives traveling the CPR mainline. The CPR mainline runs east-west in front of the station . In the background , there is a tall building - a stilt structure- which is the coal chute . Forward of it , to the left of the mainline are pipes that stick out of the ground. That is a water chute . Directly left of this , out of the picture , stood the duplex section house . 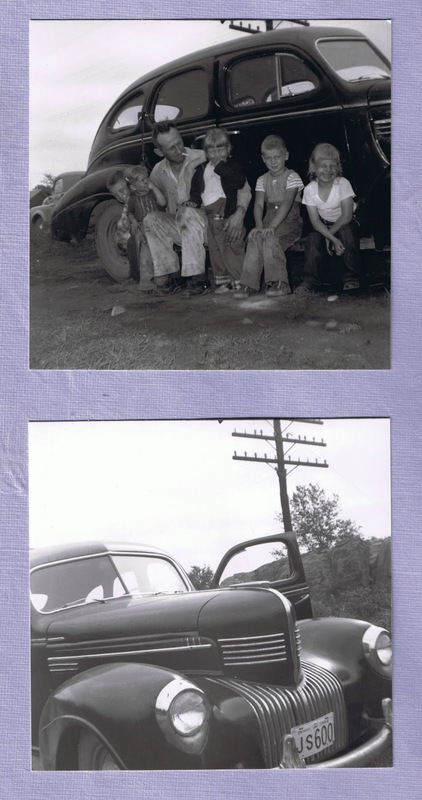 Once the Chrysler made it to Mattawa , Dad and Mum had to find a place for our family to live . Dad would have to wait until a vacancy came available in the duplex section house . That could be years if things didn't work out . Finding a home for the same rent was going to be the trick in a town of 2000. There just weren't many options available . But at least Dad had one of the four section positions in Mattawa . That was something to be thankful for . ﻿﻿ Old friends , the McOrmond's , who had rented a room to Mum and Dad (and Sis ) for a few weeks prior to the transfer to McKerrow in 1948, came to the rescue . On annual trips to Mattawa the McOrmonds always played host to our family . This time they very generously took us all in until a suitable place could be found . Side Tracked- Who took the photo? 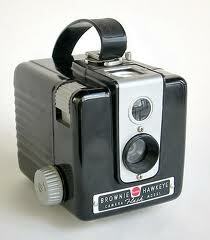 Looking at old photos reminded me of a preoccupation I had as a child . The who-took-the-picture-question fascinated me . I considered who was in the each photograph and who was absent , assuming the missing face to be the photographer . Passengers sitting in the waiting room at old CPR stations could dream about exotic Canadian locations that they could go to instead of 50 miles up the line . Look at these from collectionscanada.gc.ca . For hardworking fellows , the Union was a blessing and often not . When we moved to Mattawa , it was the 'seniority list' that allowed my Dad to push someone with less CPR years out of his job , so that Dad could move into it...creating a vacancy . ﻿ In 1953 , Dad purchased an old Chrysler- '39 I think but I wouldn't know . It was his first car-one of many used vehicles that would pass through our yard - and each one a 'great deal' . This car cost a whopping $50.oo . That was two weeks take home pay and took him nearly a year to pay off at $5.oo a month.